This time of year is a busy one: HR teams are strategy planning, budgeting, seasonal hiring, and more. If this already sounds overwhelming, don’t worry, we’ve got you covered! 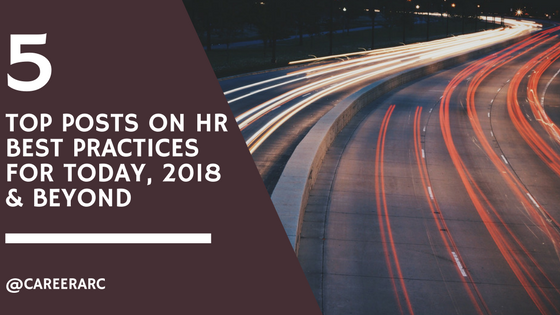 We’ve rounded up the top articles on HR best practices and strategies to help you attract and manage the best talent. The end of the year is a time for honest reflection when we take stock of our progress and see where we can push for more. But the impact of employer branding programs and initiatives are often difficult to measure, and articles abound on the standards of ROI. However, with this simple self-assessment, you can get a good gauge of where your employer brand is strongest, and what could use improvement. Convinced you have a compelling employer brand? Put it to the test with this list of nine signs to check for today. Related: Webinar Series >> Employer Branding 101: No Really, What Is Employer Brand and Why Should I Care? In the age of social media, more and more job seekers are relying on social sites to apply for jobs and to explore an organization’s company culture. This means employees, regardless of their position, can become powerful communicators of your brand. Learn how top companies are empowering their employees to become one of the most effective assets in the war for talent: employer brand advocates. The Undercover Recruiter reports that passive candidates are 120% more likely to make an impact on your organization. While passive job candidates tend to be more skilled and qualified for roles, targeting them can be very challenging. Explore these 4 ways to attract and engage passive candidates. By 2025, 75% of the workforce will be comprised of millennials. For the first time ever five generations will be working alongside each other, and with this diverse workforce come different work styles, cultures, and expectations. How will you accommodate their varying demands? Learn the key aspects human resource professionals should pay attention to as they approach this new era of work. As retail companies stock up their inventory for the holiday season, recruiters are equally gearing up to hire more employees. We know attracting and recruiting seasonal talent is a challenge all on its own, but motivating and managing your holiday hires is important to increasing efficiency and reducing turnover. So what should you do to engage with seasonal hires, and how do you invest in their success? Check out these tips on how to deliver a smart talent strategy during the holidays. Want to get a jump start on your holiday hiring? Learn how Ulta Beauty made 15,000 new hires for the holiday season through social recruiting. Download the case study now. 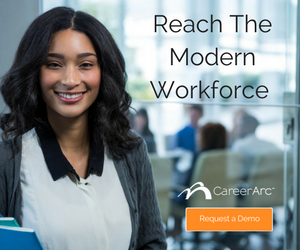 Discover the top HR best practices that will help you attract top talent and manage a rapidly changing workforce.